Fragrance is one of man's greatest enjoyments. It can bringing back memories of a past experience or create a feeling of security, grounding and well-being." The Aromatherapy Blends that we carry were created to meet a variety of needs that our own family members or customers have experienced. 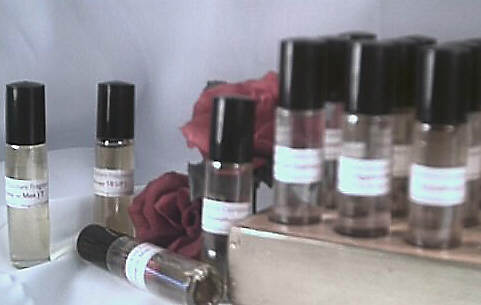 "Aromatherapy is a phrase coined by Rene-Maurice Gattefosse, Ph.D., in 1920, who was a French cosmetic chemist. While working in his laboratory, he had an accident that resulted in a third degree thermal burn of his hand and forearm. He plunged his arm into a vat of lavender oil, thinking that it was water. To his surprise, the burning slowly decreased and then stopped within a few moments. Over a period of time, with the continual application of lavender oil, the burn healed completely without a trace of a scar. As a chemist, he analyzed the essential oil of lavender and discovered that it contained many substances referred to as chemical constituents or chemical properties. As a result of this, Dr. Gattefosse determined that essential oils contained tremendous healing properties. Dr. Gattefosse shared his experience with his colleague and friend, Dr. Jean Valnet, a medical doctor in Paris, France. During World War II, while serving as a medical physician in the French Army at the China Wall, treating war victims, Dr. Valnet ran out of antibiotics, so he decided to try using essential oils. To his amazement, they had a powerful effect in reducing and even stopping the infection, and he was able to save many of the soldiers who otherwise might have died even with antibiotics. Dr. Valnet had two students who did their internship with him who were responsible for expanding his work, Dr. Paul Belaiche and Dr. Jean Claude Lapraz. They discovered that essential oils contain antiviral, antibacterial, antifungal and antiseptic properties as well as being powerful oxygenators with the ability to act as carrying agents in the delivery of nutrients into the cells. For example, if you take a geranium plant and tear the leaf or the stem, a clear liquid will appear. This liquid is a very subtle and volatile essence that exudes from the damaged tissues of the leaf. So it is with the human body. With a cut or scrape, we see the flow of blood from that opening in the skin. One significant difference between the blood and the plant liquid is the color. In the resin or oil being released from the plant, we find trace elements of nutrients, hormones, enzymes, vitamins, minerals, antibodies, and antifungal, antibacterial, anti-infectious, antiseptic, and immune-stimulating properties. Another key agent found present in that resin is OXYGEN. Oxygen molecules are part of the chemical elements of the resin, such as alcohols, phenols, esters, sesquiterpenes, terpinols, etc., which together create an essential oil. The plant releases the oil in order to clean the break, kill bacteria and start the regeneration process. When blood is released because of broken skin, it is for the same purpose: to clean the wound, kill the bacteria, prevent infection, and begin the healing and regeneration process. A simple comparison of the plant and the human body shows us a precise similarity, as both the oil and the blood are the transporters of the fundamental nutrients necessary to feed and nurture the cells. Furthermore, the essential oil has the ability in its chemical structure to penetrate the cell wall and transport oxygen and nutrients inside the cell, thus increasing cellular oxygen and giving more support to the immune system. Research has shown that with their immune-stimulating properties, essential oils enhance and support the building of the immune system, whether they are inhaled or rubbed on the body topically. Even those who contract a cold or the flu recover 70 percent faster using essential oils. It has been said that when essential oils are diffused in the home, they have the ability to increase the atmospheric oxygen, as they release oxygenating molecules into the atmosphere. Oils increase ozone and negative ions in the home, which inhibit bacteria growth. This prevents and destroys existing odors from mold, cigarettes, animals, etc. Essential oils have the electrical magnetic attraction to fracture the molecular chain of chemicals and take them out of the air, rendering them non-toxic to the body. Scientists in European countries have found that essential oils will bond to metallics and chemicals and carry them out of the body, working as natural chelators, inhibiting these toxic substances from staying in the tissues. Essential oils remove dust particles out of the air and, when diffused in the home, can be the greatest air filtration system. These are all wonderful attributes of essential oils. Essential oils can be extracted from plants, trees, seeds, flowers, petals, stems, roots, bark, or even the whole plant. Today, about 200 different types of oils are being distilled with several thousand chemical constituents and aromatic molecules that have been identified and registered. These aromatic Substances and compounds within the oils will alter and change based on weather conditions, climate, temperatures, and distillation factors. Today, 98 percent of essential oils are used in the perfume and cosmetic industry. In 1991, only ½ percent was used for Aromatherapy. 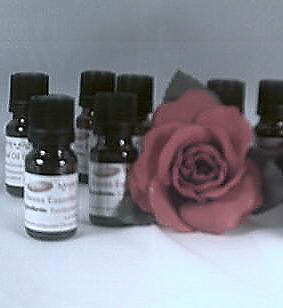 In 1993, 2 ½ percent were produced for Aromatherapy or for therapeutic and medicinal application. Essential oils are recognized as being the greatest substances for increasing cellular oxygen through their normal function. When applied to the body by rubbing on the feet, essential oils will travel throughout the body and affect every cell, including the hair, within 20 minutes. They may have a lasting effect for as long as five months from only one application. The oils do not build up and store in the body because they are very subtle and volatile and have a high evaporation rate. Because of their chemical structure, they are metabolized like other nutrients in the cells. One of the causes of disease in both the plant and the human body is the inability of nutrients to penetrate the cell wall, causing cell deterioration, leading to cell mutation, creating a host for bacteria and disease. The integral part of the nose responsible for odor detection is the olfactory, consisting of two membranes, one on each side of the mucous membrane covering the bony extension of the nose. The olfactory membranes are very tiny and are well protected by the casing of the nose. They contain about 800 million nerve endings for processing and detecting odors. These nerve endings are triggered from a signal from the genes along the inside passage of the nose. The olfactory hair-like nerves receive the micro-fine, vaporized oil particles, carrying them along the axon of the nerve fibers, connecting them with the synapse of the secondary neurons in the olfactory bulb. The impulses carried to the limbic system and the olfactory sensory center at the base of the brain, pass between the pituitary and pineal gland and then to the amygdala, which is the memory center for fear and trauma. The impulses then travel to the gustatory center where the sensation of taste is perceived. Only in 1989 was it discovered that the amygdala plays a major role in storing and releasing emotional trauma, and only odor or fragrance stimulalation has a profound affect in triggering a response with this gland. Dr. Joseph Ledoux, of the New York Medical University, feels that this could be major break-through in releasing emotional trauma. People who have turbinate problems, such as a deviated septum, polyps, or who have had nose surgery, may have a very difficult or impossible time detecting the complete odor. The same holds true for people who have worn a lot of make-up, perfume and cologne or used hair sprays, hair colorings, perms and other products with synthetic odors. Many olfactory hairs respond to only one kind of odor molecule, and simultaneously others will respond to several different kinds of odors. This tells us that not all of the receptors are stimulated at the same time in the presence of odorous vapors. The olfactory nerves are very much like other nerves and organs in the body. They also respond to electrical signals and impulses that form coded messages that are dispatched to various areas of the body. This may be why some oil inhalation will increase endorphin, neurotransmitter and antibody production. We Welcome All Visitors To Subscribe To Our Newsletter. List members recieve website updates and info. on natural ingredients, healthy alternatives, new items and specials that are for our subscribers only. Each newsletter sent contains an easy, automated way for you to unsubscribe from our email list. PLEASE NOTE: Our company is in no way associated with any original designer fragrance manufacturer. Some of the perfume/cologne names appearing on our website are registered trademarks and are not to be confused with our reproductions. The ingredients used in our products are carefully selected to be mild and safe and are designed for use on sensitive skin. No animal testing. All of our products are tested and used by our family and loyal customers. Our products are not intended to diagnosis treat, cure, or prevent disease. Reaction to any product or ingredient is individual. If you have skin sensitivities or question your reaction, perform a patch test on your skin before using. Consumers should consult a qualified physician with any questions. We do not accept responsibility for any problems that may arise from the use of our products.